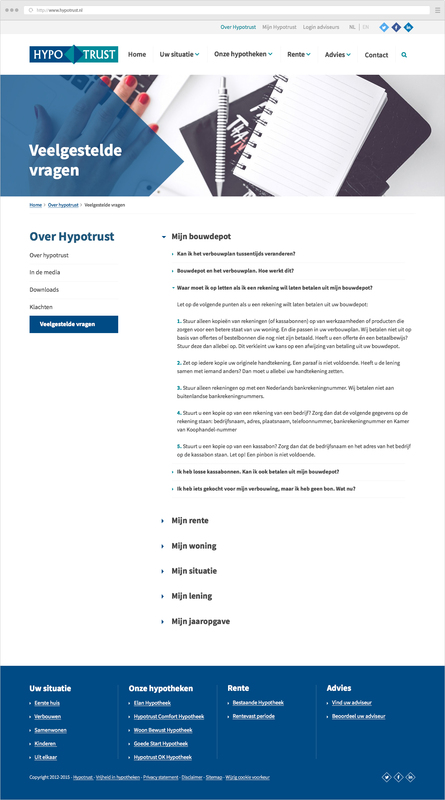 Hypotrust is a mortgage provider, not a bank but a mediator between banks and insurers that lend money. 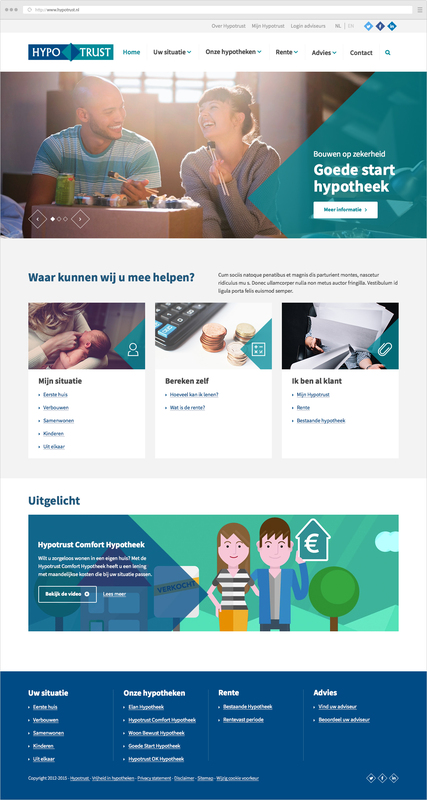 Hypotrust is an existing costomer from Redkiwi, they asked to built a new website with a new CMS (from TYPO3 to WordPress) with a new and modern webdesign. 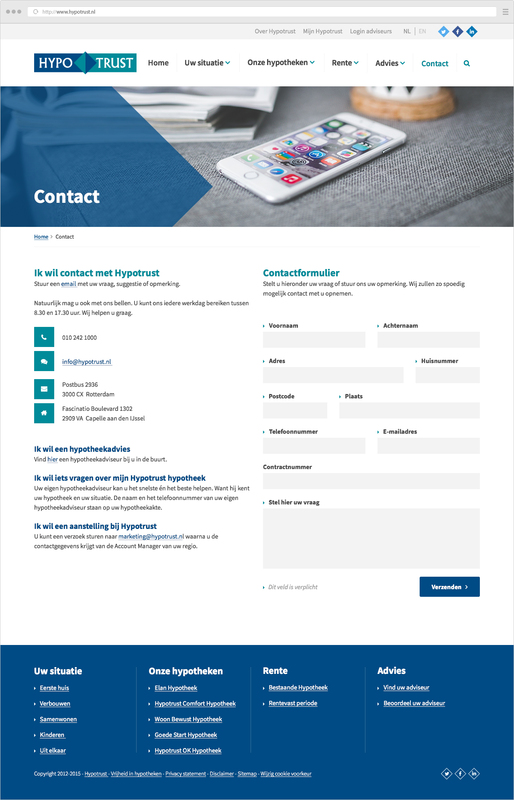 Main goal for the new website is responsiveness, providing different target groups with relevent content, making the organisation feel more human, get new clients to trust the company with their mortgage and convincing existing customers to stay. 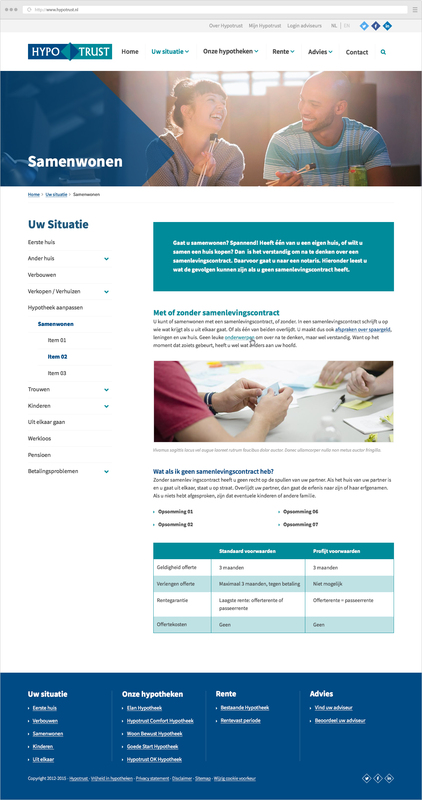 To make sure the design was fit for the target groups I started the process with an analysis of the Google Analytics data of the existing website. The results of this analysis shows that the website was mainly used very target driven. Pages like 'current interest rates', the 'maximum loan' calculator and 'my Hypotrust' were most commonly used. It became obvious that these task should be presented as clear as possible. The tasks are devided into three main target groups: 'new customers', 'existing customers' and 'mediators'. A requirement was to make the website more personal. This is why we choose to highlight the personal situations that Hypotrust provides mortgages for. Giving them a face by using images with people. 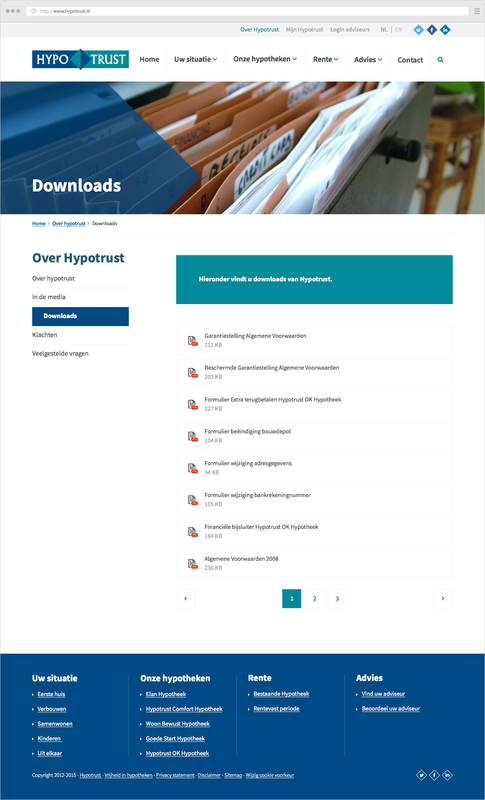 This will give new customers the positive feeling that Hypotrust is a legitimate company they can trust with their mortgage. To enrich the viewing experience of the users, we added animation. These animations will give a more catered image to the user, giving them the feeling that something actually happens when they interacte with the website. Below you see one of the animation types in the form of a hover, making a lifeless teaser page more enjoyable to interact with.